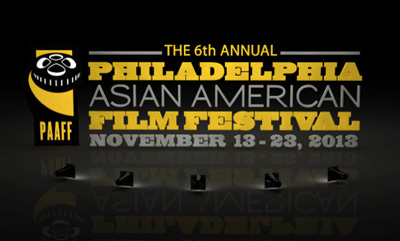 The Philadelphia Asian American Film Festival is underway! Yessssss! PAAFF has preserved the unique two-part format from years past, which is a great model in my opinion. It allows for a little breathing room, which most fests do not. Another favorable aspect of the fest is its proportions. The number of films is small, and the number of screenings per evening is low. This allows one to attend a greater number of the films, and to feel the impact of each more fully. One difference this year was the addition of two days with all-day screenings which I could not take advantage of due to my work schedule. This first batch of the PAAFF was quite a diverse set, yet another of the fest’s enduring strengths. Even within a modest roster of 13 feature films (plus four shorts programs), PAAFF covers all manner of genre and style. I made it my charge to select at least a few films that I wouldn’t ordinarily consider attending. Sake-Bomb and The Gauntlet fell under this category. SAKE-BOMB is more or less a road movie. 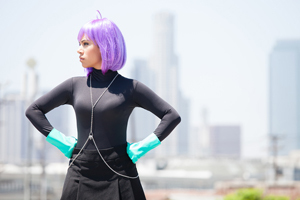 Sebastian (Eugene Kim) is a sharp-tongued short-tempered Internet-star hopeful living in LA. No sooner does he get dumped by his girlfriend, subsequently relocating him to his father’s house, does Sebastian’s babe-in-the-woods cousin Naoto arrive from Japan. Naoto too is in the throws of lost love, and has come to LA to find his ex-girlfriend. Sebastian begrudgingly takes him to Northern California to find her. These two are as opposite as is possible. Along their incongruous path they encounter a colorful swath of people and arrive at some rather harsh realities. 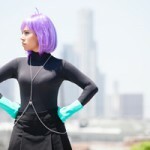 Though I felt that some of the film had a forced quality, there was something beneath all of it that held my attention. I call it compassion. Director Junya Sakino has true compassion for his characters, which is why he is willing to expose them for all their good and bad qualities, especially Sebastian. Maybe the truer observation is that Sebastian himself, not the actor, is forced and forces himself upon those who happen into his path. He tries so hard to be a scathing teller of truths, but he tries too hard and this is why people don’t take him seriously. I adored Gaku Hamada as Naoto, the naive sake-maker who fulfills perhaps the stereotype one might expect of a young sheltered Japanese man. Naoto is everything Sebastian thinks he hates about the Asian male image. But the fact is, these things are mere surface. Naoto has a great deal of emotions and wishes bubbling up inside him. Sebastian is so hell-bent on his explosive, hyper-sexed and uncouth persona that he doesn’t realize that he is the very same as his cousin, just on the opposite end of the spectrum. This is why their presence in each others lives is so improtant. Perhaps they can move towards the middle and grow. Sake-Bomb, like its protagonists, has something to say and says it both loud and quiet. THE GAUNTLET is a little bit of Saw and a little bit of DaVinci Code. Five strangers wake up in what seems to be a labyrinthine underground castle with no memory of how they got there. Their relationships to one another are unknown, and the loyalties they form for survival are tenuous at best. Each level of this dungeon proves a grueling challenge where the price to move forward is often another person’s life. Along the way, a sense of each person’s past and a glimmer of their true character peeks through. In fact this is the more enjoyable aspect of the feature. I respected the internal life of these characters. Meanwhile, blood, much blood, much death. Bai Ling (The Beautiful Country, The Crow) is fantastic as a disturbed and merciless survivalist. Though the least of the actors that needs to prove themselves on an ostensibly low-budget genre flick, Bai Ling goes for broke, covered in blood for basically the entire film. Another treat was the casting of Dustin Nguyen (The Rebel) whose performance is one of subtlety and dignity. Director Matt Eskandari was present and shared many insights into the international production and several fun anecdotes, such as Bai Ling taking the initiative to cover herself with even MORE blood and pranking the youngest cast member Nick Lane into thinking his character would be killed off early. PAAFF does such a great job of assembling filmmakers to attend their screenings. The Gauntlet is what it is. It goes for broke and I had fun while it did. INNOCENT BLOOD was the film I most anticipated and it delivered marvelously. A crime thriller with a clean and brooding tone. James Park (Jun Kim who truly inhabits a sense of utter internality and urgency), is a retired undercover detective teaching criminal justice /forensics at University. James is living a life of relative complacency with his son Cody and wife Susan, but the desire to return to the bureau is nagging him. Around this time the darker shades of his past reassert themselves and his son Cody is kidnapped as a consequence. Park’s well decorated legacy is in jeopardy as the mysterious kidnapper forces him to reopen a ten year old murder case. The tight execution of this narrative, done mainly through implication, is superb. This is due in part to the restraints of the production, which so often births creativity. The slow even trickle of revelation, the bevy of full-blooded performances from every cast member, the thematic strength which is shown rather than told, the clarity of Sun Kim/D.J. Halloway’s visualization, and the peppering of macabre humor all combine into a moody, tense, and emotionally intelligent feature. This one will be hard to beat, and is a contender for my top 10 films of the year. 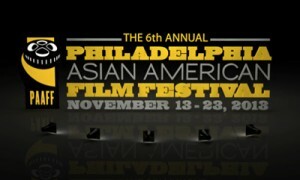 Looking forward to part two of the PAAFF at Asian Arts Initiative starting tomorrow, November 22nd!